The newly-weds are our spiritual children, members of our parishes. It’s the duty of clergy to celebrate the ‘feast’ of the couple in a splendid manner, with formality, seriousness and dignity, while at the same time preserving the corresponding religious and liturgical ethos. It’s a help in this if there’s a choir, so that the ceremony can be performed in a prayerful manner. This is, in itself, an encouragement to those taking part to behave accordingly. Not hurriedly, and worrying over the next wedding. If the sanctity of the service is to be preserved, pastoral effort is required, as is the spiritual cultivation of the couple and, indeed, of the whole parish. At this point, the responsibility of the clergy is considerable. Usually, when a future couple come to a priest and ask what’s required for the marriage to be performed, they’re given a list of necessary documents to be provided and the calendar is consulted for a suitable date. It’s rare that you’ll find a conscientious clergymen who will devote a little time to arrange a private meeting with the couple, to indicate suitable reading matter or to recommend participation in the sacraments of confession and Holy Communion. 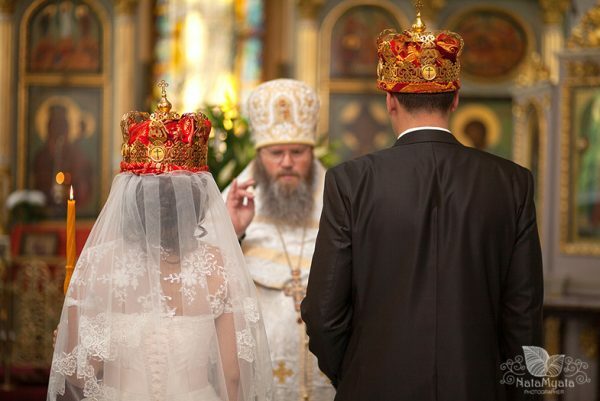 The latter is of great importance, given the fact that, in present social conditions, any reconnection of the marriage service with the Divine Liturgy is probably not feasible for young people today. I’m not sure that the clergy are really aware of the extent of their responsibilities as spiritual guides towards the couple or whether they deal with the two young people in a bureaucratic and perfunctory manner, even though the fact that the latter have turned to the Church and chosen to be married there indicates, if nothing else, their good intentions. But it’s only to be expected that they won’t understand the texts, the theology and the symbolism of the marriage service. The words of Saint Paul are most apt here: ‘And how are they to believe in one of whom they have never heard? And how are they to hear without someone to proclaim him?’ (Rom. 10, 14). It’s clear that instruction’s required before the wedding, as well as a sense of its theological meaning. But, often enough, the pulpit is silent on this. Unlike in former times, today there is a great deal of information and theological study on this matter. The instruction of the couple needs to cover the whole of the theology of marriage, and this will happen over time. But initially it can at least focus on specific points of the service, so that good order is maintained. For example, Saint Paul’s phrase ‘and let the wife fear her husband’ (Eph. 5, 33). In Greece, when these words are said, there’s a bad custom that the woman treads on the man’s foot. This can be avoided if, beforehand, the whole passage is explained to the couple, so that they understand the sacrificial love of the husband and the concomitant respect of the wife for him. This teaching can also furnish an answer to some social stereotypes. It’s said and written, for example, that ‘marriage kills sexuality’. But is this really so? Perhaps we should try to explain to the couple that exactly the opposite’s true: that the controlled power of conjugal sexuality is transformed, within the context of a Church wedding, into enduring and selfless love. This, of course, is the case when its sanctity and spiritual dimension is retained and is expressed by the mutual assumption of responsibilities, within the sacrament of marriage. Real sexuality leads on to love and eventually attains the mutual sacrifice of each of the partners for the other. At the same time, it respects its fruits, which include children. If we look at the way the Church presents it, marriage certainly doesn’t kill sexuality. On the contrary, it matures it and highlights its sanctity and spiritual depths. 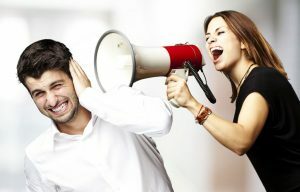 What has been said above is an expression of pastoral concern about what’s happening these days with the marriage service and is connected to its sanctity. It’s been said in a spirit of love towards the couples and to the clergy, to instruct them in the worship of our Church. It’s obvious that we’ve come down a long road to get to the situation as it is today. Historical, social, theological and other reasons have all contributed towards the secular spirit becoming dominant in the marriage service. But if the shepherds of the Church work hard, in a spirit of preventative pastoral care, the situation can be reversed. In fact, it could well be that we could create in our parishes an ecclesiological climate such that our spiritual children could take part in full knowledge and in the fear of God in the sacraments of the Church and, especially, in the great sacrament of marriage.